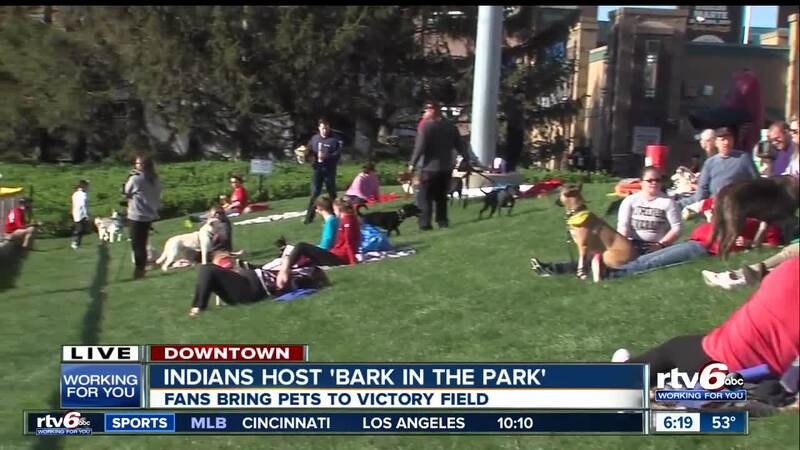 Indians host 'Bark in the Park' night at Victory Field. INDIANAPOLIS — Monday evening was the Indianapolis Indians first "Bark in the Park" night for the 2019 season at Victory Field. A popular event this year as tickets sold out pretty quickly. Take a look at the turn out in the video player above!